‘Tis the season! Every year I have trouble coming up with a wish list, so this year I used the launch of this blog as an excuse to do a little window shopping and come up with a list. Hopefully it’ll help give you a few ideas too! First I wrote out a few things that I already have and truly love, then I picked a few things I’d like to have and categorized them by subject. So without further adieu, see below! Healthy Human Steins + Cruisers ($24-$40) I carry at least one of these with me every single day and usually I have multiples with me. They keep my hot drinks hot and cold drinks cold, they don’t sweat, and they come in tons of cute colors. If you haven’t checked them out you need to! Use code “stockup” for 20% off your order through Cyber Monday. Manduka PROlite Yoga + Pilates Mat (On sale for $61.50) I LOVE this mat. I finally took the plunge and bought one at the beginning of the year and I’m so glad I did. It feels well-made and it’s guaranteed for LIFE. Worth it. GoMacro Macrobar Sampler Pack ($35 for 12 full-size bars) It’s no secret that I love these bars. They’re vegan, gluten-free, the ingredients are great, and they taste even better. If you haven’t tried them yet, put this sampler pack on your list! Get 30% off + free shipping on your first online order with code “Macro30”. Evanhealy Carrot Eye Balm ($23) I was first introduced to this magical balm in this year’s Whole Foods Limited Edition Beauty Bag and I’ve been hooked ever since. I use it every day under my eyes. The ingredients are organic and natural- it helps with puffiness and gives my under eye area a beautiful glow, like I slept 10 hours the night before. I wish! Paddywax Candles ($10 and up) My sister-in-law got me a bergamot + mahogany candle for Christmas last year and I love everything about it. The candle sits in a concrete vessel and is a perfect addition to any nightstand. All of Paddywax’s candles are hand-poured using soy wax and cotton wicks in Nashville, Tennessee. Love Your Melon Beanie ($30) Not only are these hats super cute and comfy, but LYM donates 50% of their profits to fund pediatric cancer research and helps provide immediate assistance to families of children battling cancer. Who doesn’t love a gift with a cause? Good reads. You can’t go wrong with a good book or two! My picks- The Little Book of Mindfulness ($7) + Think Happy ($11). These books are perfect gifts to help yourself or loved ones start the new year with a positive, present mindset. Manduka eKO SuperLite Travel Yoga Mat (On sale for $31.50) This mat is on my Christmas List. I think it would be perfect for travel and great for someone who already has a regular sized mat. Manduka eQua Yoga Towel (On sale for $28.50) I love the full size (not hand) towel. This is also on my Christmas List! I think it would be great to prevent slipping during a sweaty yoga class. Inspirational Shoe Tags ($16) for a set of two. These tags are customizable and easy to put on the laces of running shoes for inspiration with every step. Tone It Up Workout Bands ($12) Strength training is so important in running. I take these bands with me everywhere to do the daily leg exercises I added to my routine a few years ago to rehab an IT band injury. Healthy Human 21 Ounce Stein ($30) We all know the importance of hydration. No matter how warm it is outside, I know I’ll be able to rehydrate with cold water if I bring a Healthy Human bottle with me. Liquid IV Hydration Multiplier ($16.50) for a box of 8 packets. I use this before each long run to make sure I’m adequately hydrated. Each packet hydrates the same as 3 bottles of water. I noticed a huge difference when I started using it regularly! Vintage Mister for Indoor House Plants ($30) choose from nickel or brass. I think this little mister would be perfect to water my succulent babies and it’s really cute too. “Plant Mom” Tote Bag ($16) machine washable canvas tote bag that’s roomy enough to carry 2-3 plants or groceries home from the store. You can never have too many tote bags! Handmade Ceramic Planter ($22 for the one I linked) Etsy is a goldmine for one-of-a-kind pieces. I searched “ceramic planter” and tons of results popped up. I can always use more pots for new plant babies and I know I’m not alone! Hand-stamped Smoothie Spoon ($18) Every smoothie bowl queen needs a pretty spoon to eat their creations. Sprout Living Epic Protein Sample Kit ($15 + free shipping for 4 single serve pouches) My favorite plant-based protein powder. The ingredients are right on front of the package and super clean. It also tastes good- I love every flavor! This sample kit is perfect to try before you commit to a big bag. Adaptogens (prices vary) are great gift ideas too! Handmade Ceramic Mug ($34 for mug linked) Etsy and Anthropologie are my go-to places for unique mugs and a great gift idea to go along with a tea sampler. Sipsby Tea Subscription ($45 for a 3 months) This is a customizable tea subscription service where you receive 4 new teas each month. Perfect for someone who loves trying new tea! You’re able to gift a subscription with a 3-month, 6-month, or 12-month gift card. Franklin + Whitman Mask Bowl Gift Box ($59.95) I won a giveaway a while back for a Frank + Whit mask set and I’m bummed I didn’t try them sooner! I have really sensitive skin, but these masks work like a charm. The Queen Village mask is my personal favorite. Lush Merry Christmas Bath Bomb Box ($35.95) There’s not much better than cozying up in a nice warm bath with a glass of wine and a good read. I don’t make time for that kind of relaxation nearly enough, but it’s easier when I have one of these bath bombs to use! All of Lush’s products are ethical, handmade, and vegetarian. This gift set comes with four different bath bombs in a festive gift box. 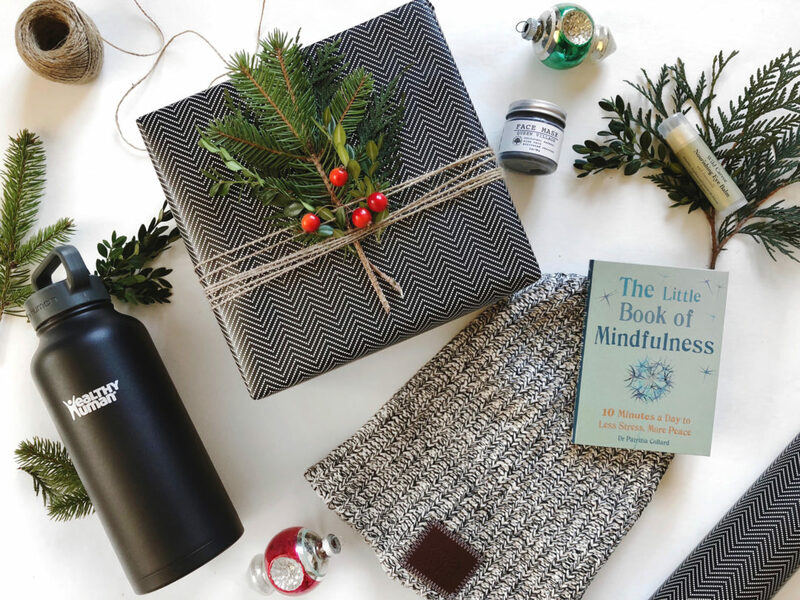 We absolutely love this gift guide!! Craving some of those cozy teas in our Healthy Human steins 🙂 Thanks so much for the feature! Happy holidays! Yay! Thank you! My love for your bottles + steins is so real. 🙂 Happy holidays to you guys too! Hello! 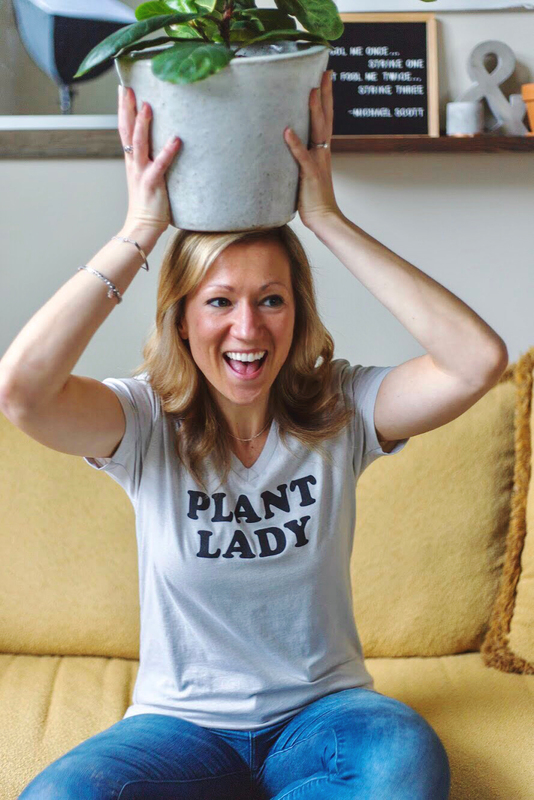 My name is Lyndsay and I'm a health enthusiast with a passion for sharing plant-based meal ideas, recipes, and my favorite ways to live a happy, healthy life.